is located in Manhattan, NYC and was completed in 1909. This building was designed by Napoleon LeBrun & Sons and stands 700 feet tall with 50 floors. This tower stood as the World’s Tallest Building from 1909 until 1913, being surpassed by the Woolworth Building. 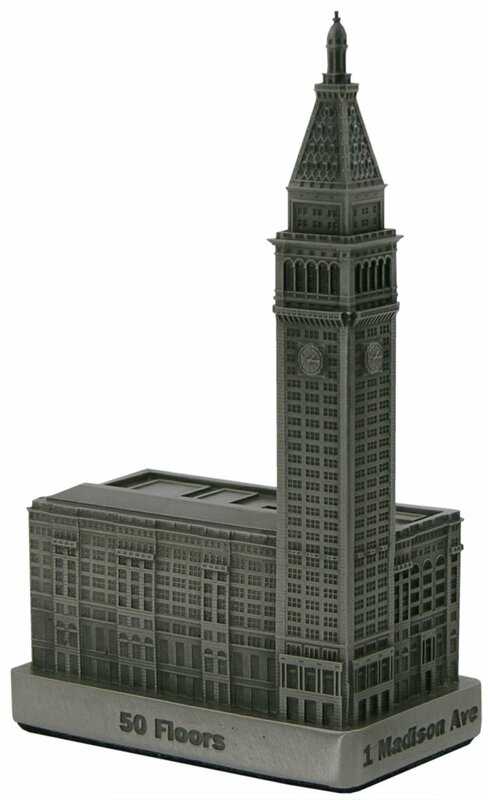 This pewter replica stands just over 5 inches tall and is finished in antique pewter. This model’s scale is 1 inch = 150 feet.